Are you looking to add some sparkle to your next event? Then you will love this paper fan decor craft! They are quite pretty and can be made quickly with merely decorative paper and tape. It's mind-blowingly easy to make these gorgeous paper fan decorations. You and your kids will love making them to hang around the house for a party, a holiday celebration, a wedding, or to give a room some fun bursts of color. Pretty paper fan rosettes are also an excellent idea for decorating kids' rooms. The hardest part will be deciding where to put all the hanging fans once you're done making them! 2-3 sheets equal sized, good-quality decorative paper in pretty colors and designs (available at crafts stores or through retailers like Paper Source); Good quality wrapping paper also works well for extra large sized paper fan rosettes. 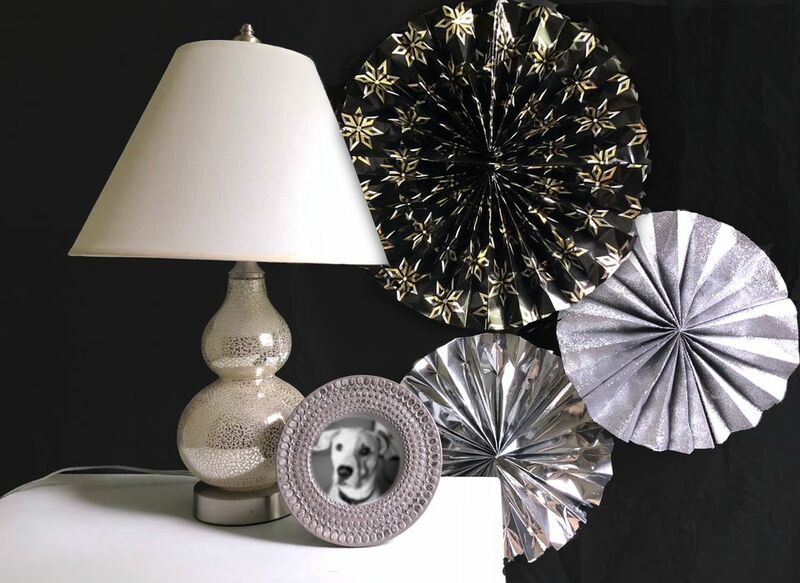 You can make your decorative paper fans as big or as little as you want. Just remember to cut two to three equal length squares of paper for each decorative fan. The smaller the squares, the smaller the rosette. So if you want to have a paper fan that is sixteen inches wide, for example, you should use paper squares that are sixteen by sixteen inches wide. Make sure to use properly sized paper squares to get the correct size paper decoration you desire. Make the first fold on a sheet by folding over one inch of paper and creasing. Turn the sheet of paper over and make another one-inch fold. Keep flipping over and folding, stopping when you get to the end and run out of paper. You are creating accordion-style pleats, which will then be opened into a fan once you are finished. Trim off any excess paper with scissors when you are done folding. Take another sheet of paper of the same pattern and fold it the same way as the first sheet. Fold both of the folded strips of paper in half. Tie your twine or sewing thread firmly around the center of the folded paper square. If you like fuller paper fans, you can fold the third sheet to add to the paper fan, but this step is strictly optional. The fans look quite pretty using only two sheets of paper. Put double-sided tape on each side of the paper strips. Take one strip and fold it in half to join together. You will now have a half circle paper fan. Join the other paper strips together and form another paper half circle. Join the two half circles together with double-sided tape at the edges. You should now have a full circle. Make sure to keep your twine, string, or thread away from the tape. You don't want to get your string glued to the tape. The string should also be on the back side of your paper rosette. When you are done joining the two half circles together, your hanging paper fan decorations will look something like this! Tie a knot at the top of the twine at the desired length (depending on how much you want the fan to hang down). Tape the string to the back of the paper fan decoration to secure it to the fan. These paper beauties are so quick and easy to make that you'll no doubt want to make several and hang them around the house to add beautiful pops of color to any room! Paper rosettes make lovely photo backdrops at weddings. They're a beautiful addition to any party, adding sparkle and sizzle for very little money!